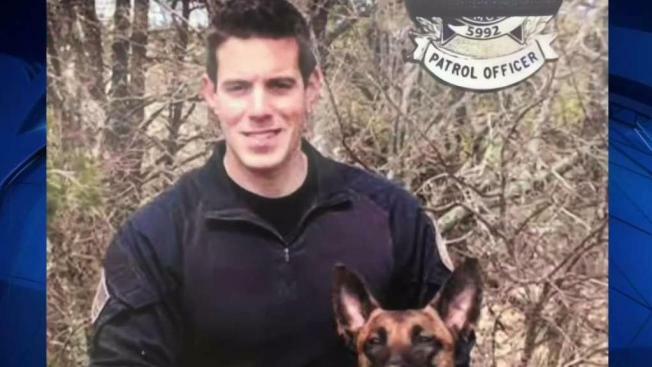 A Massachusetts hospital has renamed its pediatric unit after a police officer killed in the line of duty earlier this year. The dedication at New Bedford's St. Luke Hospital for the K-9 Sgt. Sean McNamee Gannon Pediatric Unit took place Tuesday in a private ceremony. The Standard-Times reports that Southcoast Health CEO Keith Hovan presented the idea to rename the ward to the board of trustees, who unanimously supported it. Gannon, a New Bedford native and Yarmouth officer, was fatally shot while helping to serve an arrest warrant at a home in Barnstable in April. His dog Nero was also shot, but survived. Earlier this month, Southcoast Health presented a check for $25,000 to the Sgt. Sean M. Gannon Playground Committee.